Here at MusicAuthority we have found that music and running often go hand in hand. Many of our readers and contributors use running as a way to stay in shape, get out their energy, or fulfill their need for competition. Since we have such an overlapping reader base, we decided to compile a list of the Top Women's Running Blogs for our readers to enjoy. All of these blogs are top in their class and share a lot of great information about how to balance fitness and life. Make these blogs a part of your daily routine. You won't be disappointed. 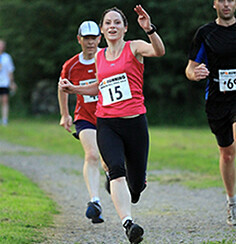 Sarah is an avid running who traded her love of doner kebabs for running shoes. She has kept on the fitness train and has a few major accomplishments including a qualification time for the Boston Marathon and a Guinness World Record. Make sure to follow her race reports and join her on her journey! Smitha is a running enthusiast from bright and shiny San Diego who shares her races, recipes, and successes with her readers. We especially liked her recent posts about the Rock 'N Roll Half Marathon. Make sure to check her out and sign up for her giveaways! Kaella is a runner based in NYC who shares her workouts, race-recaps, and a little of her son with her readers. She is extremely motivated and even went on a streak of almost 400 days straight of running. Talk about commitment! Make sure to check out her blog and subscribe to her on social media. 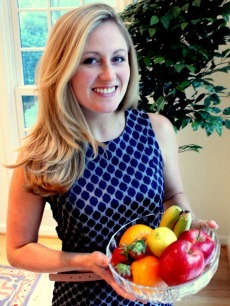 Anne is a dietitian from Washington D.C. who shares a breadth of information from race recaps to nutrition advice. As you might expect from her background, the site is loaded with nutritional advice and Anne stays away from recommending dieting or calorie counting. One of our favorite pieces is her article on how to stay healthy while working in an office. Allie is a mother of twins who fills her blog with motivational advice and lessons learned from her experiences. She trains for marathons and triathalons and has completed the Boston and NYC marathons. You can find all of her races and times here. Dorothy's blog is a window into her life over the last 15 years as she embraced long distance running as a way to overcome her unhealthiness. She is an accomplished marathon runner, running trainer, and mother who has been featured in multiple magazines and publications. We especially liked What Does A Runner's Body Look Like? Tia lets us travel with her as she documents her workouts and races ranging from mile long races to marathons. She has been a runner her entire life and has found the balance between competition and her family. Her latest post is The San Francisco Marathon Race Recap. 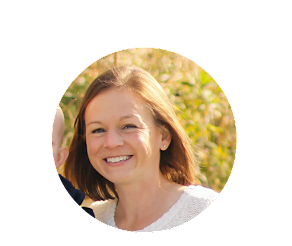 Nichole is an Olympic Trials Qualifier, coach, and blogger who shares her training routine, meals, and family with us each week. One of our favorite posts is when she set the Indoor Marathon World Record, becoming the first woman to run an indoor marathon in under 3 hours. Helen is a runner and blogger based out of the UK. She has a lot of articles focused on training, eating, and how to deal with injuries. Her blog is a great resource for those that want to see how to balance life and fitness. Check out her recent adventure through an aquathon. 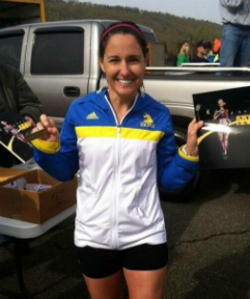 Abby wears many hats including a runner, blogger, running coach, and spends quite a bit of time on social media. Her blog is dedicated to helping others avoid the mistakes she made when she first started out and is a great resource for those who keep feeling like they have to start back at square zero. One of our favorite posts is on the Easy/Hard Principle. Jesica's blog is a one-stop-shop for tips and information for all skill levels of runners and triathletes. She has a ton of articles around starting out, keeping healthy, and the life lessons that follow as your start your running journey. One of our favorite articles is about how she packs for a race. It can be found here. Lisa's blog has a lot of content around healthy recipes, DIY crafts, and inspirational articles aimed to help you get out and enjoy life. It is a great resource that shows the more human side of running and how it can help you stay balanced. One of our favorites is her DIY project creating marathon themed phone covers. Alina focuses on providing information for anyone who is interested in what it takes to pursue a vegan lifestyle while remaining active. She has numerous articles on the benefits of her diet as well as recipes and running advice. She has an entire section of her blog dedicated to as series on the Vegan Kitchen Simplified. Lora started running to lose weight and fell in love with it. She is originally from Wisconsin (Go Packers!) and her articles range from her race recaps to check-in points for her personal goals. She has a little of everything for her readers including an article where she takes us along with her as she learns the art of canning. 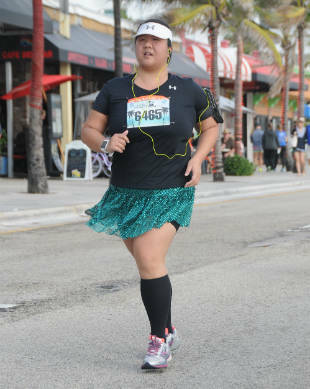 Paulette is a long distance runner who uses marathons to train for 50k events. Her blog shares her training routine as well as the ups and down that come with all of that training and stress. Check out her personal leaderboard where she shares her races and times. Kristina picked up running to overcome health challenges. She made the decision to change her life and start running. It all started with Couch To 5k and she has now completed her first marathon with aspirations to complete a 50k. Her blog is a great example of how hard work pays off. Check out her story here. Ali is a late starter to running and uses her blog to keep her disciplined and motivated. Her blog includes a little of everything and is a great place to follow along if you wonder what it takes to stay in the groove while balancing your personal life. Follow the link to find a list of all of her completed races with a post-run report. Sarah is a swimmer turned distance runner after suffering an injury and mental burnout. She now spends here time running half marathons and connecting with like-minded bloggers and fitness afficionados. She is a huge advocate for fitness communities as a way to stay engaged and motivated. Check out her race recaps and events here. Katie is a runner, fitness enthusiast, and mom who found running as a way to continue the fitness she had gained through college volleyball and softball. She had a minor stint in the competitive fitness world before starting her journey to 5ks, half marathons, and marathons. Her blog is a mixture of fitness advice and parenting tips. We especially liked her motivational post on 5 Ways to Stick To Your Workout. Tiffany is a relative newcomer to running after starting in 2011. She does a great job giving us an all-access pass into her routine, training, and race times that creates a real connection with her community. Check her out here. Laura's blog gets its name from one of her daughter's favorite phrases as she was pushed in the stroller. The site includes healthy living tips, running advice, and a sneak peek into her family's life. She is a certified running coach that understands that each body needs something a little bit different. One of our favorite articles highlights the 5 Day Reset.